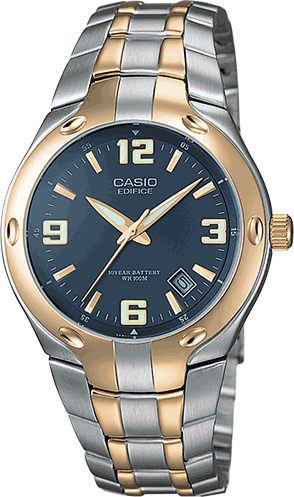 The timeless style of a 3-hand analog, combined with the sophisticated look of a multi-dial watch. 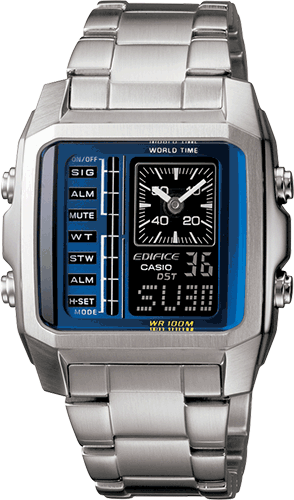 Blue Edifice Watch with a gold metal band. 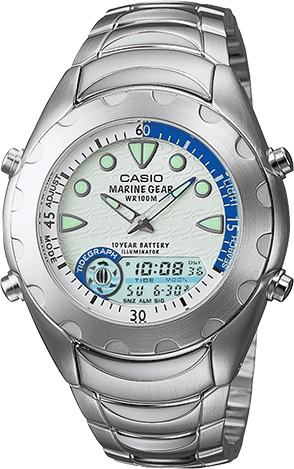 Features a 10-Year Battery, 100 meter water resistantance and a Mineral Crystal. Ladies, on the go or just at home this timeless classic says you know style. Black Edifice Dress Watch with Analog Dial Code and Metal Band. Fashionable ladies 3-hand analogs with a hint of color. 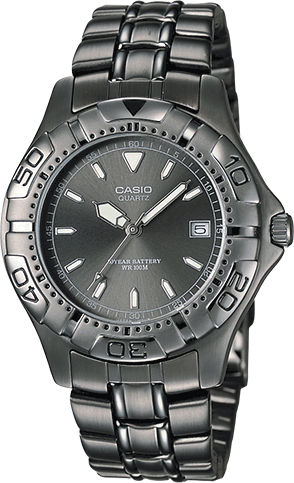 Square stainless steel case & band with one-touch push clasp closure and spherical mineral glass. 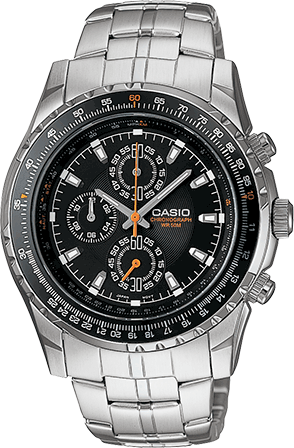 The timeless style of a 3-hand analog, combined with the sophisticated look of a multi-dial watch. The 3 dials display day, date and hour so there’s no need to search for a calendar. At the office or the movies, this timeless classic says you know style. The added bonus of a 10-year battery says you’re worry-free. 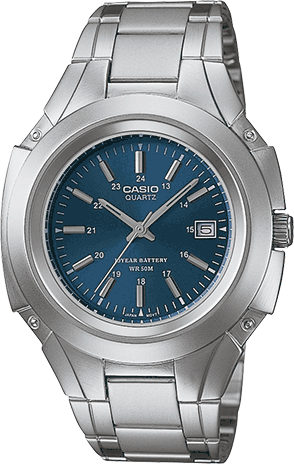 They know that you have a classic sense of style; you know there’s much more to the watch on your wrist. 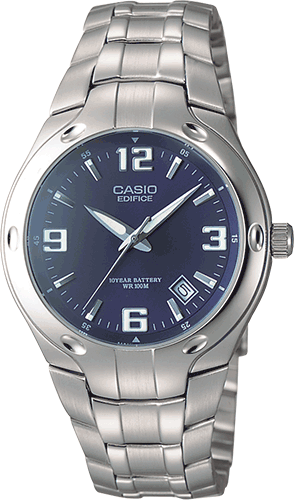 Blue Edifice Watch with a metal band. 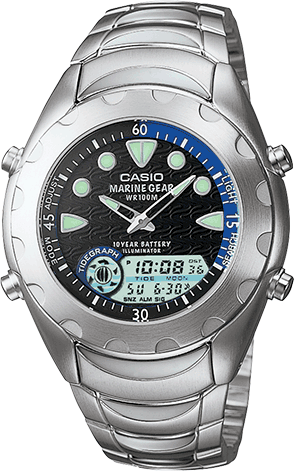 Features a 10-Year Battery, 100 meter water resistantance and a Mineral Crystal. Fashionable ladies 3-hand analogs with a hint of color. 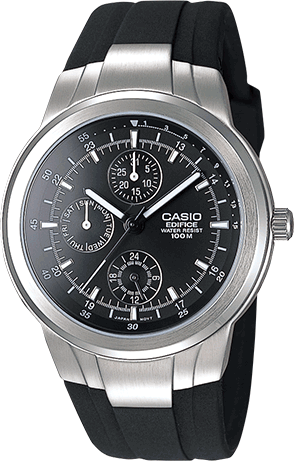 Round stainless steel case & band with one-touch push clasp closure and spherical mineral glass. Fashionable ladies 3-hand analog with a hint of color. 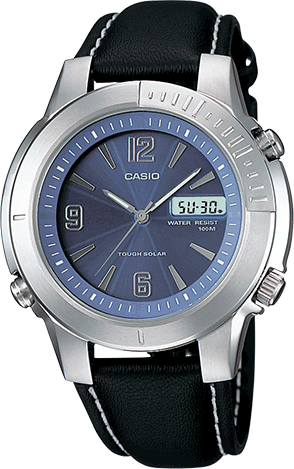 Square stainless steel case & band with one-touch push clasp closure and spherical mineral glass. 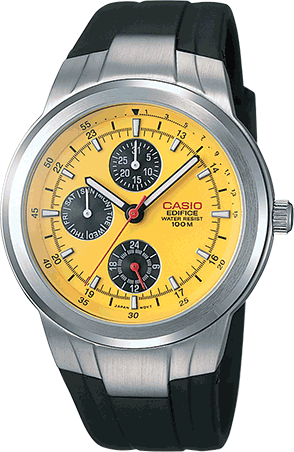 The perfect watch for every traveler. 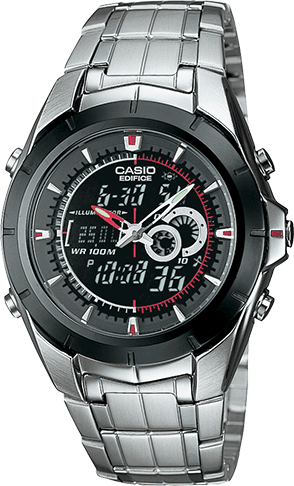 With its analog and digital read out you can see the time in up to 2 time zones. At the office or the movies, this timeless classic says you know style. The added bonus of a solar powered battery says you’re worry-free. Dress Watch with White face and Titanium Band. Dress Watch with Black face and Titanium Band. On the go or just at home this timeless classic says you know style. 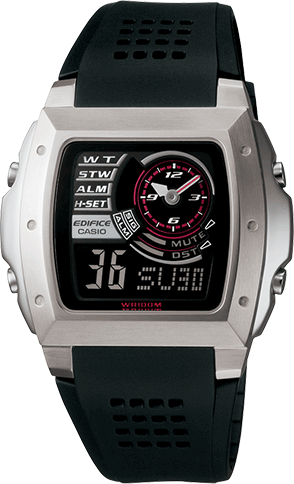 Black Face with a Metal Band and Analog Dial Code, featuring a Mineral Crystal and 100 Meter Water Resistance. 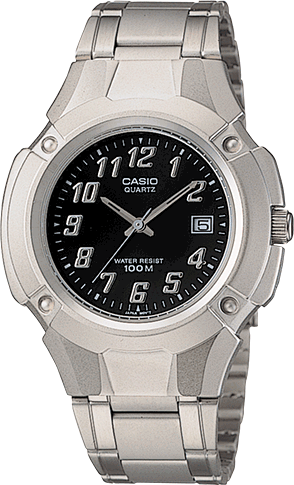 Gray Watch with a Metal Band and One-Way Rotating Bezel. Ladies, on the go or just at home this timeless classic says you know style. 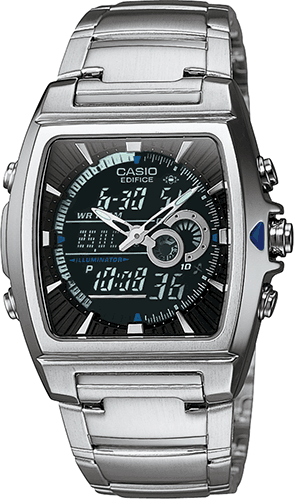 White Edifice Dress Watch with Analog Dial Code and Metal Band.